Abdulla Al Khelaifi clinched his third straight Qatar Touring Car Championship (QTCC) title by winning both races in the final round of the series at the Losail International Circuit yesterday. Al Khelaifi had already secured the title in the penultimate round, therefore, his goal was to win both races to have perfect score. He managed to finish the season with 160 points in the final standings. However, the battle for the second position continued between Mohamad Al Khaiat, Ghanim Al Maadheed, Hamad Al Sulaiti and Hamad Al Asam. 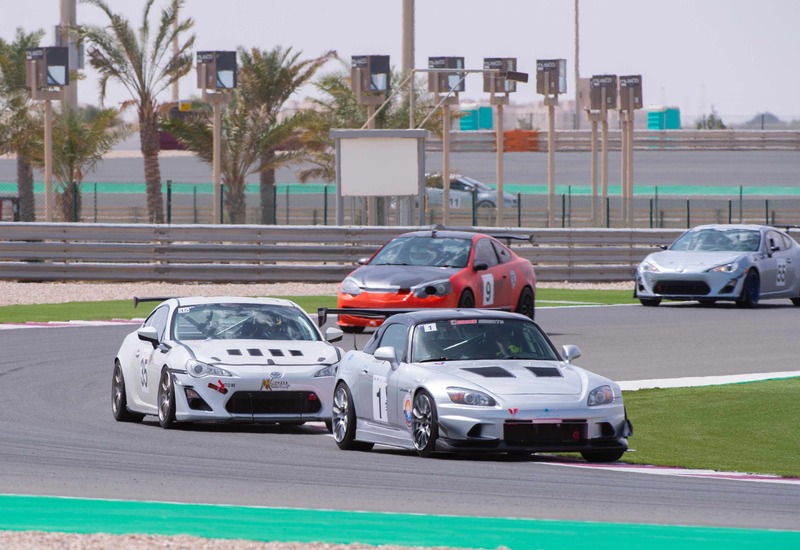 During the first race, Al Khelaifi took the lead from the beginning and crossed the checkered flag followed by Ghanim Al Maadheed and Hamad Al Asam. “It was a really good round for me. I had some small issues but I managed to solve them really quickly, not major issues and I finished first in the first race with that technical issue” said Al Khalaifi after the first race. 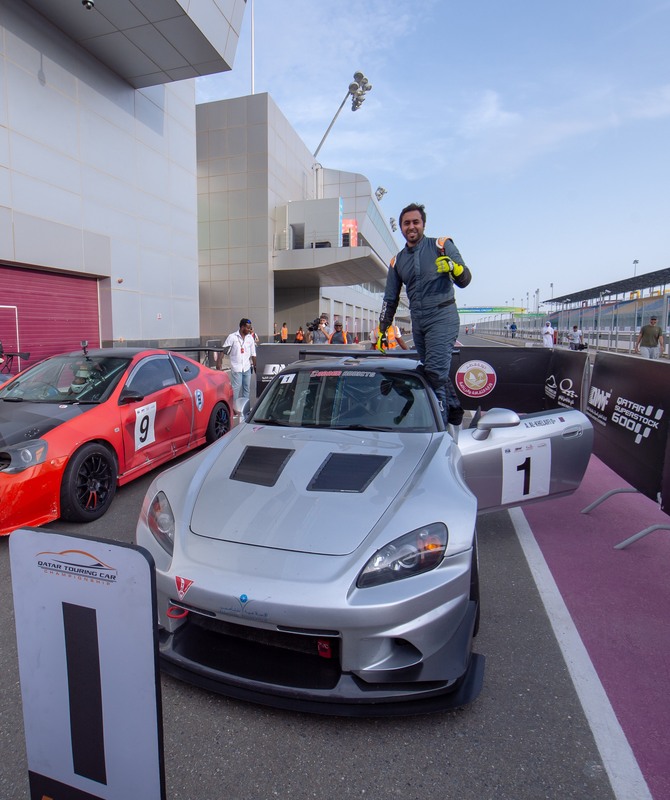 With the reverse grid in the second race, Hamad Al Asam took the lead during the first four laps but in the middle of the race, Al Khelaifi took again the first position and another victory in the championship. 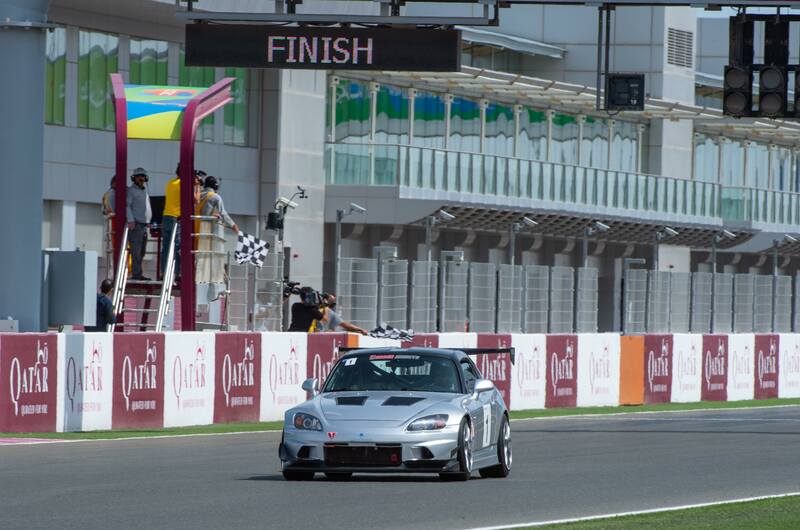 Al Asam secured second position and Al Maadheed third in the podium of the second race. “Second race was smooth, I tried not to push in the beginning to stay out of trouble and leave the guys having their fight for the second place. Once the fight in front was almost over and it was safe for me to pass them I overtook them one by one until I managed the lead until the end of the race” added Al Khelaifi. With the two podiums of Ghanim Al Maadeed, he secured the second place in the standings with 89 points and the third place was secured by Mohamad Al Khaiat with 77 points. “This season was a very competitive and winning all the races doesn’t mean that it was easy for me. I had a really good fight with many drivers but the issue with them was the lack of consistency so I encourage them to participate throughout all the season to get better results and try to be more reliable with the cars as this is the key for winning championships”, says Al Khelaifi. The runner up of this season, Al Maadeed says “This is my first season in the championship. It was a great and I had a good competition with all the driver. I hope it will be better next year for me, we can be more prepared for the next season but overall this season was fantastic. I want to thank Mansour Al Hajri for his support during all the season, he was with me all the time, giving me advice and working with the car and without him, I wouldn’t be here today”. Al Khaiat also took part in the championship for the first time and finished third overall. He commented “Out of 10 races we missed 3, once disqualified and 2 mechanical issues. Even so facing these issues we won 3rd place overall in the 2018-2019 QTCC Season. It was a great experience. Be ready for the next season, the game has just started”. The fourth place in the standings was for Hamad Al Asam, who ended with 68 points. “I was not very lucky this season but I am really happy to finish the last round with two podiums. I had a lot of problems with the car, it is a new project, I risked a lot and hopefully now the car is perfect for the next season. I finished fourth in the championship and this is amazing as I was back to sixth before this last round” said Al Asam. Trophies were handed out to champions by Abdulrahman Al Mannai (QMMF President) and Khalid Al Remaihi (LCSC Vice President and General Manager).